Sleep is essential. It plays a vital role in our physical health. Not only does it allow your body to rest and recharge, but sleep is also involved in healing and in the repairing of your heart and blood vessels, too. Sleep problems is a deficiency or lack of restful sleep, which has been linked to an increased risk for heart disease, kidney disease, high blood pressure, diabetes and stroke. In children, sleep is essential for growth and development. A child’s body and mind are working overtime and they are developing at a rather rapid rate. In order for children to be healthy and to develop normally, it is important that children are sleeping as often and as deeply as they should for their age. 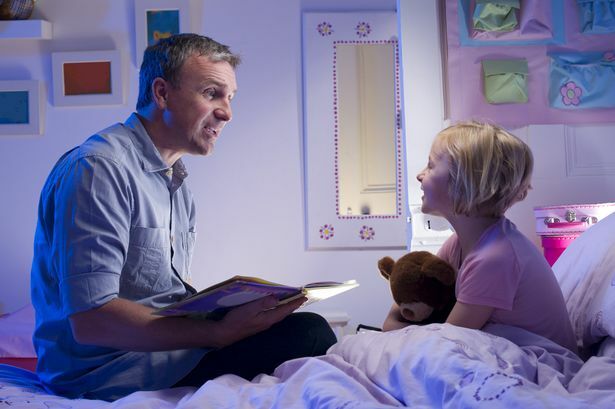 As a parent, it is important to ensure that your child’s sleep is as beneficial as possible. 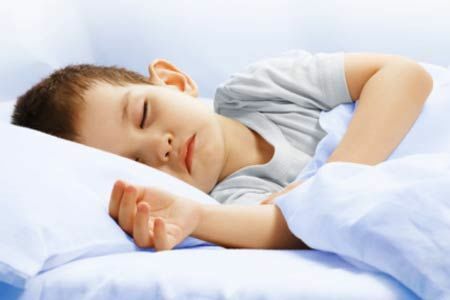 There are plenty of ways to maximize the advantages of your child’s sleep and there are things that you should know for each stage of your child’s young life. Babies who have just been born have not yet developed their internal clocks, so their naps and periods of sleep will generally vary by night and day, which may be a challenge for some adults who are used to the day/night sleep cycle. In general, babies need to sleep about 18 hours per day, spread across various naps and other stretches of time. Within the first few weeks after birth, you should generally wake your child up every 3 to 4 hours until they have good weight gain. After that, babies can sleep for longer periods of time. Slowly, infants will begin to sleep for longer stretches of time on their own as well. Babies will generally make noises or cry while sleeping, and in most cases they will only be awake for a few minutes before falling silent and drifting back off to sleep. If your child persists, however, then they are likely uncomfortable due to being hungry, wet, cold, etc. Make sure to attend to their needs quickly and quietly and not to add any additional stimulation if necessary. It is never too early to begin a bedtime routine. Once your child begins to fall into more predictable sleeping patterns, you can begin to establish such a routine. Incorporate soothing activities such as reading, bathing, singing, etc. just before bed. Placing your child in the crib before they actually fall asleep can help introduce the idea of a bedtime and help the nighttime routine stick and become more like second-nature. Toddlers generally need to sleep 12-14 hours per day, spread between 1-2 naps during the day and one stretch of sleeping at night. Setting specific bedtime and nap time hours is essential, and it helps that you stick to them, too. Some parents may think that letting their kids stay awake through nap time will make them sleepier later on, but they may only grow overtired which will have the opposite effect and they will have a harder time sleeping instead. It is important to establish quiet time during this stage, whether around nap time or bedtime. Encouraging quiet activities around nap time can help calm kids down and may even guide them into napping. When it comes to establishing a bedtime routine during the night, it helps to encourage the same soothing activities recommended for infants. Bathing, reading, and other quiet activities can help soothe kids and help kids relax and give in to sleep much more easily. Some preschools and kindergarten programs feature a dedicated naptime or quiet time during the day, though this often depends on whether the school schedule is a full day or a half-day. At home, children should be getting about 11-12 hours at the preschool age and then about 10-11 as they get into the upper elementary grades. It is important to pay attention to your child’s behavior at this stage. Some kids may need more sleep than others, for instance some kids may still need naps whereas others may be fine with quiet time or other calm activities. Kids who are not sleeping enough, or sleep deprived, can become hyper or irritable, which can cause problems with attention and focus while in school. Technology and overstimulation is becoming more and more of a problem when it comes to sleep, especially with older children. Make sure to establish a TV and mobile device free period of time before bed. This is generally a good habit for adults as well, as looking at screens can interfere with the quality of sleep. Specialists recommend that you turn off any and all screens about an hour before bedtime so that you can wind down. Try reading, writing in a journal, bathing, or any other activity that does not involve a screen and can be soothing as well. Aside from setting a sufficient sleep schedule, it is essential that kids sleep well. There are many healthy habits that can help keep you physically healthy but can also maximize the general restfulness of sleep as well. ● Keep a consistent sleep schedule: this makes it easier to sleep as well as helps to prevent a loss of lack of good sleep. ● Exercise every day: activity is important when it comes to being healthy in general, but staying active can also make it much easier to sleep restfully at night as well. ● Don’t go to bed hungry: while eating a heavy meal 1-2 hours before sleep can interfere with the quality of your sleep, going to bed hungry can lead to a restless night, too. Just as infants wake up and cry from naps due to hunger, older children may find it difficult to sleep if they are hungry enough to notice it. Try to provide a light snack before bedtime to prevent this from occurring, such as a glass of milk, some fruit or a small bowl of cereal. For more great tips and parenting resources don’t forget to subscribe to the KD Novelties Blog. Should Your Kids Make New Year Resolutions?